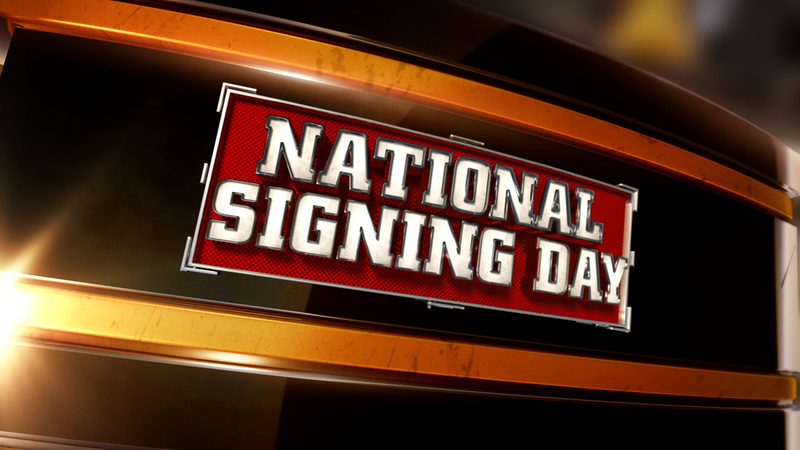 National signing day 2015 is upon us. It’s a most peculiar day in which legions of college football fans will call in sick to work so they can watch high school football players put on caps. The premise sure seems ridiculous when spelled out in such plain terms, but it’s become a lucrative business for sports media outlets. ESPNU dedicates its broadcast on the first Wednesday of each February to national signing day coverage; and, boy, does the network have a lot of it. The first signing airs live at 8:30 a.m. ET and rolls on through to 4:10 p.m. ET. And that’s only accounting for the signings aired on ESPNU. The national signing day schedule starts bright and early for folks on the West Coast, particularly those who back the UCLA Bruins. Four-star tight end Chris Clark is a key piece to Jim Mora’s recruiting puzzle after the Bruins lost Aliz’e Jones to Notre Dame. Clark, a Connecticut prospect, is making his declaration at 5:35 a.m. PT on ESPNU. And for you UCLA die-hards setting the alarm to see if Clark will indeed become the next Marcedes Lewis or Joe Fauria, put on a pot of coffee. Fellow Bruins’ targets Soso Jamabo, Roquan Smith and Josh Wariboko announce between 6 and 8 a.m. local time. It could either be a most invigoration start to the day, or force Bruins fans back to bed in their blue-and-gold pajamas. If there’s any demographic known for its decisiveness, surely it’s teenage boys. Just because a recruit made a verbal commitment to a program, that guarantees nothing until the national letter of intent comes rolling across the fax machine. One of the more notorious examples of this in recent years was running back Alex Collins’ late change-of-heart. When time came for Collins to send Arkansas his national letter of intent, it had been pilfered by his mother. While not every recruiting flip has this level of drama, there is bound to be some unrest on national signing day. On Pac-12 Networks, Rick Neuheisel demonstrated the kind of pep talk a head coach needs to give a verbally committed pledge on the eve of national signing day. When a recruit inevitably reverses course and chooses a different program, idiot fans will just as inevitably tweet something crass on Twitter or string together enough coherent words on Facebook to form an abusive sentence. National signing day is prime time for this species of mouth-breather. As stated, national signing day is the Super Bowl for the most abhorrent of college football fans. While outing these people — or, if they’re members of your favorite team’s fan base, begging them to stop — might seem like a good idea, don’t bother. Otherwise, if these people understood basic decency and decorum, they wouldn’t be tweeting hatefulness at teenagers to begin with. But don’t let this type of person detract from your enjoyment of national signing day. It certainly shouldn’t put a damper on the real stars of the day, the recruits. I love national signing day purely as an observer. While some wring their hands about the growing exposure these high schoolers receive, and what impact that may have on their transition into college life and adulthood, I believe these youngsters deserve the chance to celebrate their accomplishments. Because national signing day is becoming more of a made-for-TV event, the ante is upped on recruits announcing creatively. Scores of FBS prospects will make their announcements through other outlets, whether it’s local TV, online via sites such as MaxPreps and Bleacher Report, or simply to the local newspaper. It’s a bit like NFL Draft weekend, only the players hold all the leverage. Really, it’s the one time for the next few years to come that these players hold all the cards. Is there any other time of year you ever think of a fax machine? Well, aside from any morning you might cook waffles. Yet on national signing day, fax machines are ready for their close-up. Adam Kramer wrote a humorous ode to the fax machine in preparation for last year’s event. Because anything and everything to do with recruiting has to come with as many bells-and-whistles as possible — hey, each little bit counts when attempting to woo those 5-stars — Alabama employed a Fax Cam Girl. Even your significant finding you with your web browser streaming the above and trying to explain. I wasn’t watching anything dirty, honest! I was just tracking the actions of teenage boys! The above scenario really nicely summarizes the growing fascination with national signing day. It’s one of things that if you don’t get it, you probably never will. But for those who day, this is one of the biggest dates on the calendar.